I was curious if there were work-at-home jobs for people with a green thumb. If you like gardening, plants, outside yard work, flowers, and more, wouldn’t it be great if you could work-at-home doing what you love? Or why not make your love of gardening and horticulture into a home-based business? So, I did a little research and came up with some good options for people with a green thumb to work-from-home. I hope you find them helpful. Although you will have to leave your home if you are a landscaper, you can ‘work-from-home’ in the sense that you'll be in business for yourself, operate out of your home office, and not be employed by anyone else. You can earn around $14 per hour on average, depending upon location and services offered. That being said, you can run a landscaping company from home too! Whether you have employees who do the physical work or you contract out the jobs, you can manage the entire operation from your home office. This allows you to earn significantly more than being a landscaper alone, with the average wage being about $41.50 per hour. 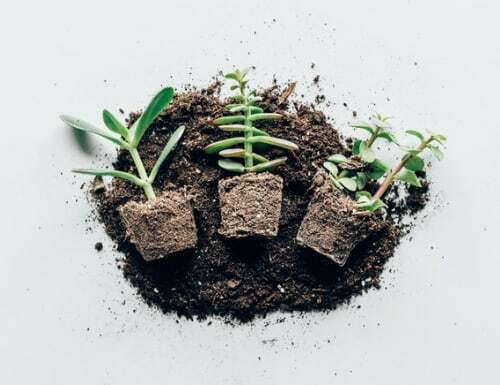 If starting a business isn't your cup of tea, you can utilize one of the many on-demand sites to connect with customers who need lawn and landscaping services. You can design gardens, lawns, green spaces, and much more for homeowners or commercial businesses. Many companies hire remote landscape designers, or you can be an independent contractor and work for many different companies. Of course, you can elect to have your own business which would also allow you to work at home. The wage for a Landscape Designer varies and can run anywhere from $49,000-$74,000 per year. If you have your own business, these figures can vary significantly depending on how many clients you serve. Have a green thumb when it comes to flowers? Start a flower garden and supply fresh flowers to other businesses or sell directly to customers. Consider adding a delivery service to get even more business. You can gross anywhere from $25,000-$30,000 per acre as a flower farmer. Net income is less of course, but it depends on variables such as equipment, supplies, and other expenses. If you like growing plants or flowers on the side, be sure to check out Aimee's story. She earned $800 in 30-days selling live aquarium plants on Craigslist. Speaking of flowers, consider becoming an Event Exec with Alice’s Table. Have fun while teaching others how to arrange flowers in your community. These events are perfect for birthday parties, girls’ nights, and more. You can earn anywhere from $150-$600 per event and set your own schedule. Grow your own food in a vegetable garden, and you can sell extras at Farmer’s Markets. If you have a farm with acreage, you can grow a substantial amount of food to sell at either smaller markets, grocery stores, restaurants, or big-box retailers. Sometimes they sell to middlemen who then sell to these venues. Income earned varies greatly depending on the size of your operation, what you grow, and supply and demand. While a small-time gardener growing vegetables can earn a few thousand dollars selling at a local farmer’s market, a farmer’s earnings can fluctuate greatly. I found examples of earnings that were around $45,000 on a three-acre plot to $65,000 profit. But again, there are such a wide variety of variables that these figures can be significantly more or less, depending on the circumstances. Stay with me here. You might be thinking, “How does being an interior designer have anything to do with having a green thumb?” You can focus on designs that include plants and flowers as a specialty. It would allow you to pursue your passion while setting you apart in the design space. Work-from-home as a designer helping residential and commercial clients design their dream spaces. According to the Bureau of Labor Statistics, interior designers can earn around $53,000. But of course, if you have your own business, your earnings could vary significantly. Provide advice on plants, grass, and flowers to businesses and organizations. You can work-from-home, but some travel may be required. The average wage is around $22 if you are working for a company, but it can vary if you are an independent contractor. Share your love of all things green by contributing to magazines, websites, blogs, and maybe even TV shows! Start by pitching local newspapers, magazines, and websites. Here are a few gardening magazines and their guidelines. You’ll have to research to find the contributing information for magazines like Better Homes & Gardens and HGTV. Freelance Writers are usually paid per piece they contribute, and that varies depending upon the medium and the article. Check out this post for more info on how much freelance writers make. If you start a blog, your earnings depend on many things. Don’t expect to start earning money right away, but you can make money from affiliate sales, ads, sponsored posts, and even your own products. There are plenty of successful gardening blogs out there today, yours might just be the next one! 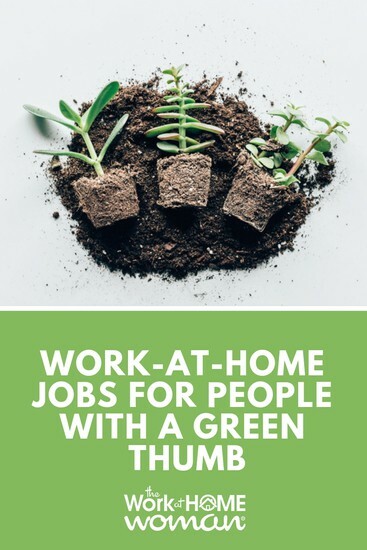 There you have it, work-at-home jobs for people with a green thumb! Do you have any ideas to add? We’d love to hear them in the comments!